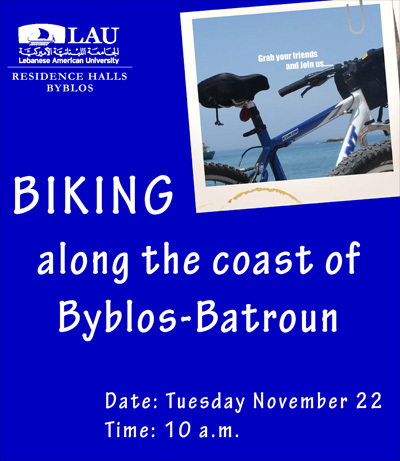 Join LAU for Tuesday November 22 biking day along the coast of Byblos - Batroun. Meeting point: Byblos Campus where a bus will depart at 10:00 AM to Jbeil. Cost: LL 25,000 per person including bike rental, guides, photographer and transportation.